ESPN deployed a 4D Replay system at Monday’s Home Run Derby that provided viewers with 360-degree replays of homers throughout the night. The 4D Replay system relied on 60 4K cameras mounted on the concourse level behind home plate and stretching from first to third base. The cameras are tied together, and, for each play, the single operator selects the pivot point on which the camera axis turns. The operator can then manipulate the replay from side to side and can zoom in without losing resolution (thanks to 4K cameras). Using feeds from 60 4K cameras, the 4D Replay operator can manipulate the replay from side to side, as well as zoom in without losing resolution (thanks to 4K cameras). Since the system simply stitches together 60 camera feeds and does not have to virtually create filler frames, no rendering is required, allowing 4D Replay clips to be ready in under 10 seconds. The replay is sent via fiber to ESPN’s truck, where an EVS channel constantly records the feed and the production team has the option to take it when it likes. The 4D Replay system utilizes 60 4K cameras lined from 1B to 3B behind homeplate. During ESPNEWS’s first-of-its-kind alternative viewing experience for the Derby, ESPN also provided analyst Eduardo Perez with a 4D Replay touchscreen app on a tablet, allowing him to create 4D replays that were integrated into the telecast. This new 4D Replay tablet-based application made its debut at MLB All-Star. 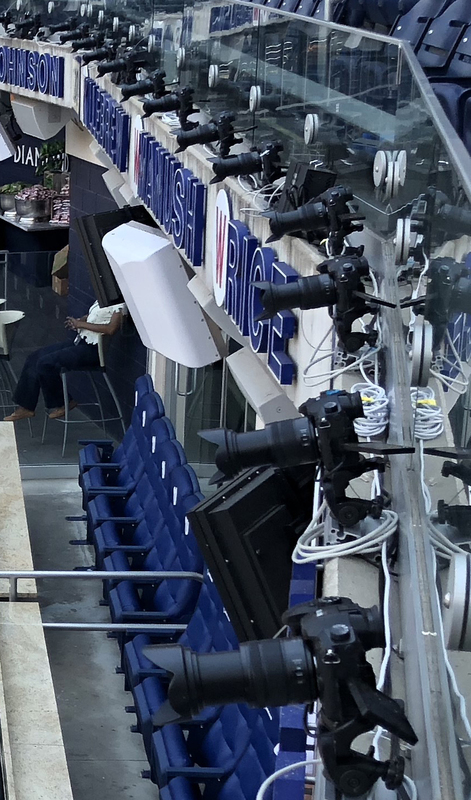 ESPN deployed the 4D replay system first on June 4 at AT&T Ballpark in San Francisco (where the system is permanently installed this season) and then again for three games at Dodger Stadium (June 24-26). These systems require significantly more cameras since they also create 4D Replays from the pitchers mound and all three bases in addition to home plate. For example, the AT&T Ballpark system requires 140 cameras total: 50 covering the mound, 50 on the home plate, 10 each of the bases, and a handful of other covering the foul line down third base side, foul line down a big wide shot, a combination, and some spares. 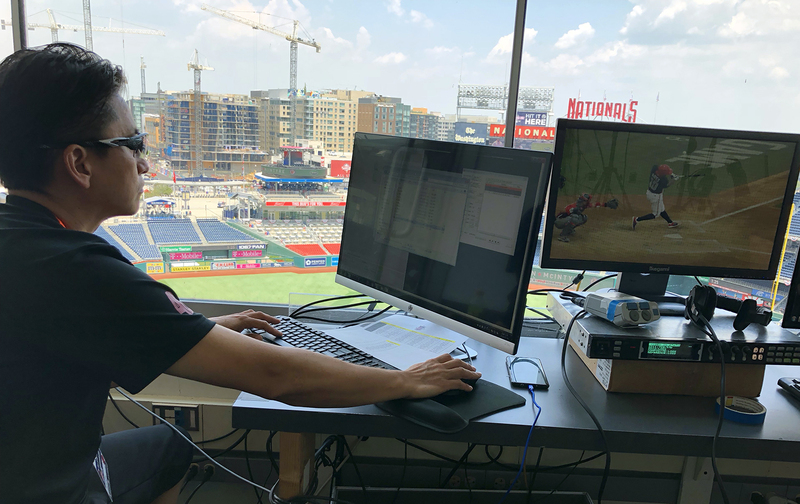 The system at Nationals Park will also be used for this weekends Nationals-Braves series, with another 50 cameras deployed to cover the pitcher’s mound. Chon also says 4D Replay will make additional appearances at multiple MLB parks during the second half of the season.